I was on leave on work yesterday because I wanted to watch the most awaited Royal Wedding. Haha Seriously, I just need to avail my vacation leave credits. My employer has this policy that all leave credits that exceed 30 days shall be forfeited. So even though I don't have errands to attend, I went on leave to avoid experiencing the forfeiture. I watched the BBC's coverage of the Royal Wedding in our local channel. 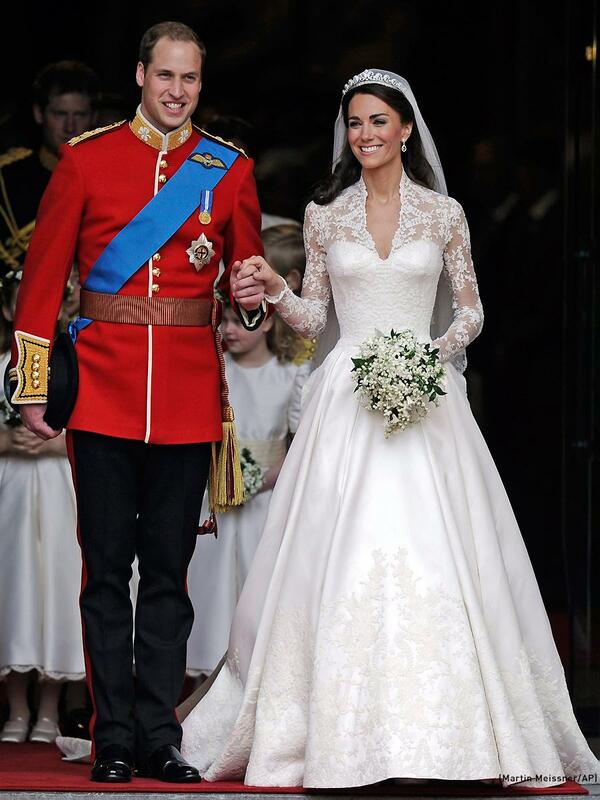 Kate or I mean Catherine's most kept and awaited wedding gown was simple and elegant and I honestly like it. 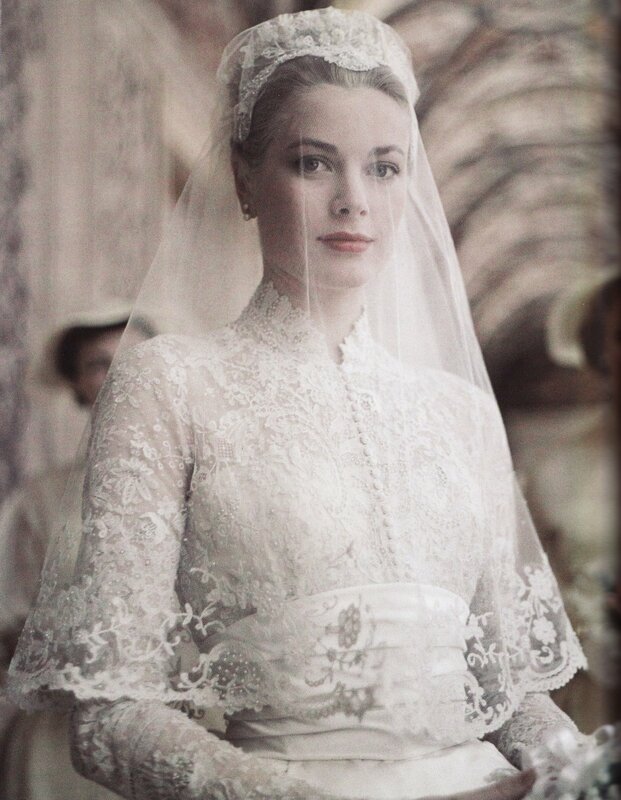 A lot say that it looked like Grace Kelly's wedding gown. I actually love both. Back to the real reason why I am writing this post, one of my High School friends got married today. Jen and I were classmates during our freshmen year in High School. We were partners during those regular line formation. The chapel of St. Anthony of Padua in Calumpang Marikina City. The reception was held in this beautiful venue. Congratulations to Marlon and Jen! After college, my first employer was a school. When I started working, my environment was relatively not new to me. I went back to school not as a student, but as an employee. My first job was a Researcher. I worked at the Research Department of one of the oldest colleges in the Philippines. I conduct studies that are used by the school's management as reference for planning and decision making. I grew up in the field of research and this later gave me the opportunity to teach. After completing my MBA, the management gave me the chance to teach. Up to this date, I still handle research related subjects such as Thesis, Feasibility Study and Business Plan Writing. My teaching job is not my full time assignment though. I still work in one of the offices of the school. After serving the Research Department for some time, I was transferred to the Corporate Planning Office. A lot of people always get surprised when I tell them that schools also have a Planning Office. You see, educational institutions are businesses too. They need to develop strategies and actions to improve and keep in pace with the demands of the industry. Since my job entailed research, one department has been my constant companion over the last years. The Library has been my steady partner. And when I say "the library" I meant the entire force that run the library. I have worked and gained friends with a number of Librarians. A lot of parents and students do not realize that the Library is one indicator of a school's position and quality of education. Aside from the qualifications of the faculty members, a school should have adequate and state of the art library materials. Books and all those printed materials are a must. But today's technology have brought evolution on the stereotype libraries we once grew up with. The Digital Age conceived the existence of the Modern and Digital Libraries. The best Digital Library I have seen is posted in the website of Facto Design. Here are some pictures I have taken from the site. 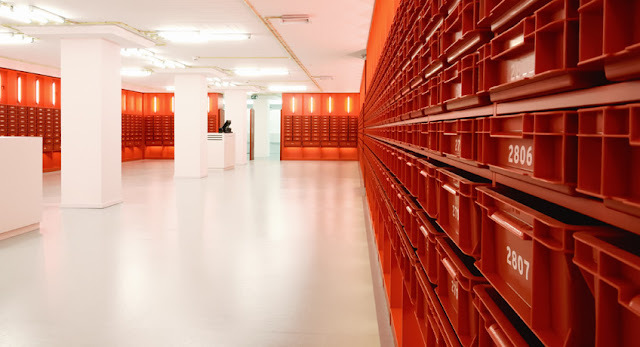 This Post Print Library belongs to the University of Amsterdam. 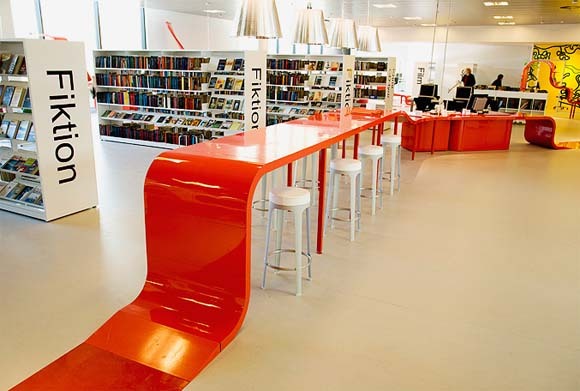 The library gave the University the 2010 Dutch Design Award. So how does the book less or Post Print library work? According to Facto Design, these red crates store books and other materials requested by students online. Through the Online Catalog, students are able to search their materials faster even in the comfort of their on homes or dormitories. Students just submit their chosen materials online and drop by the library to pick up their request. Aside from the technological advancements adopted by libraries, I have been fascinated by the new design of the Modern Libraries. These libraries have diverted from the traditional image of "closed" libraries, characterized by blinds, thick and heavy curtains. 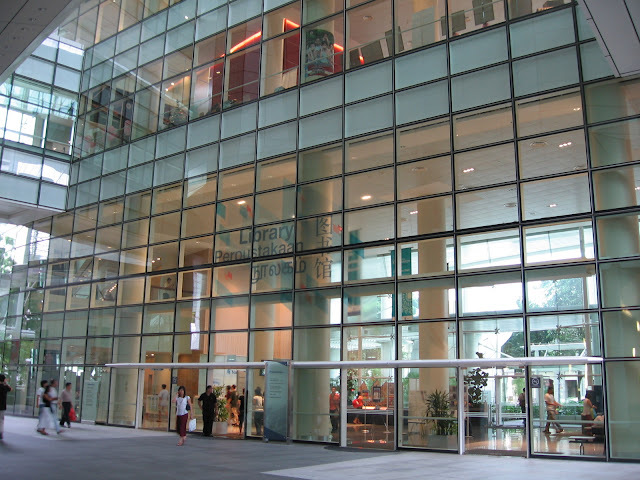 Libraries with transparent glass windows looks more alive, relaxing and conducive for users, especially for those students who spend lenghty hours of research. I hope the management of schools would realize the advantage of using the daylight. Electricity consumption will be be lessened to some degree. Students will likewise not anymore feel bored and fall asleep with these libraries. 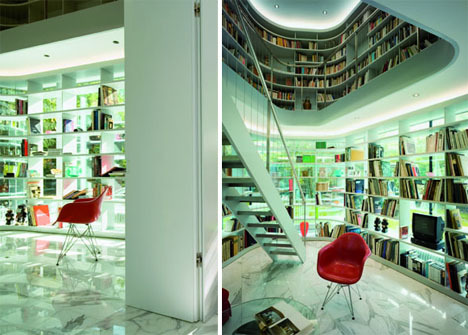 This modern library from Japan really impressed me. This magnificent and unique library belongs to the Musashino Art University Library of Japan. The library perfectly exemplified the architecture of aesthetics and functionality. The library was made so spacious with all those towering shelves. 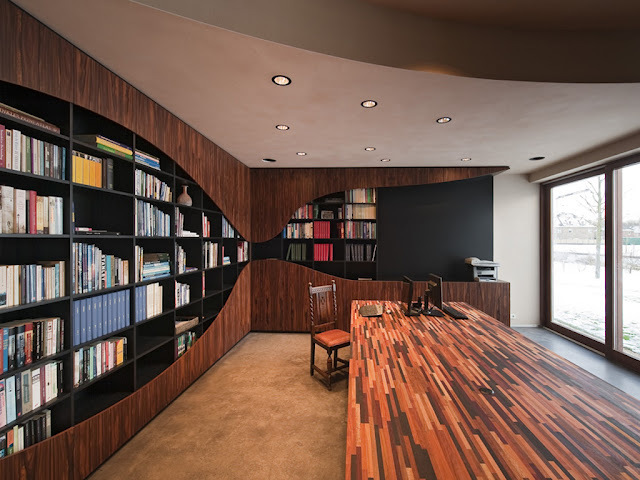 The site also mentioned that all the shelves were arranged in a circular way to accommodate a wider study area. 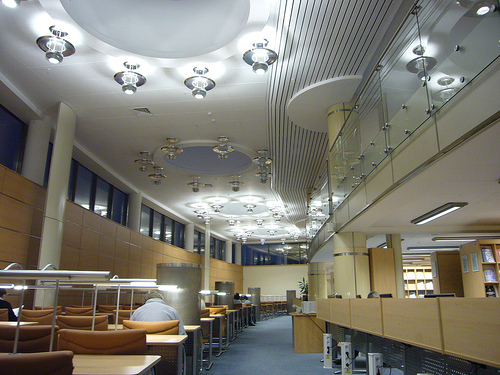 The library has taken into consideration the main clientele of the library, the students. Libraries are after all not just about books. It should also consider the welfare and preferences of the students. Surely, this library provides more than enough space for students to remain focussed and undistracted. Here is a library that braved with unique colors and furniture pieces. This is the Hjorring Central Library in Denmark. The library also made use of large panel glass windows to capitalize on the natural light and the nice view from the outside. Another unique design from the National Library of Belarus in Russia. 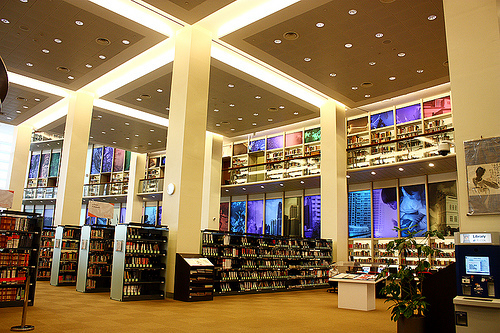 Libraries with high ceilings project a wider illusion of space. This is the National Library of Singapore. It has the arrangement of traditional libraries but the high ceiling and the transparent glass windows broke that monotonous look of libraries. 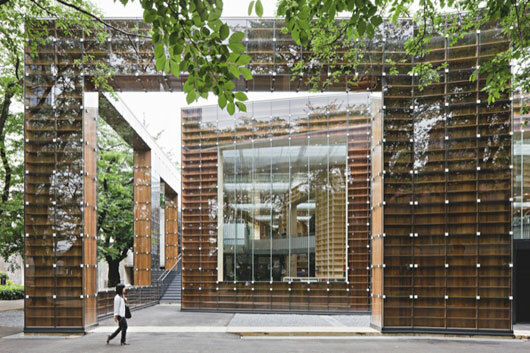 The facade of the library reflects more of the contemporary architecture. 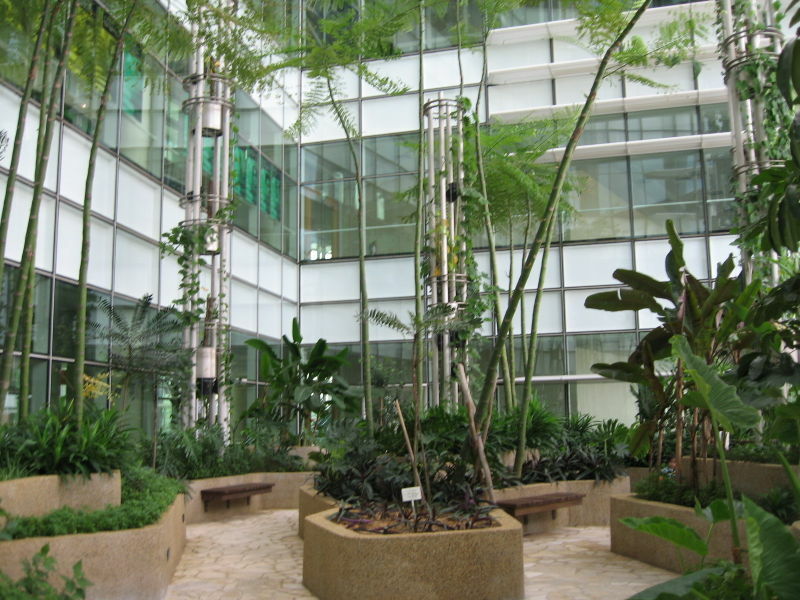 And what's wrong with having a garden inside the library? I also love the idea of moving away with the typical library chairs and tables. Libraries could divert in these colorful and modern furnitures. The following pictures were all taken from BCI Library Design. 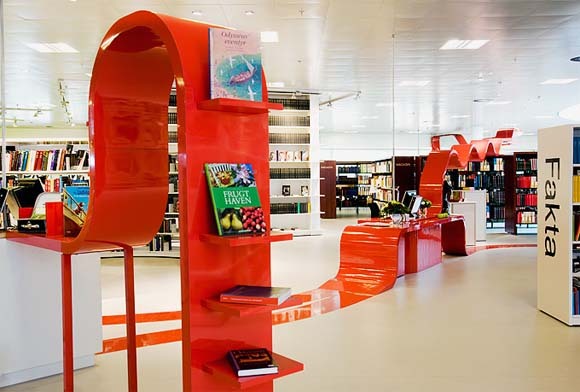 Open Space Design from the New Public Library of the United Arab Emirates. This one will be well loved by the females who are into Pink and Purple. This is from the Library of the Faculty of Architecture of the Delft University of Technology in Netherlands. The Seattle's Public Library is the library of modern libraries. The glass work of the roof is magnificent. I love it's architecture, adequate and modern furnitures, and of course the effect of using natural light in the library. Going to libraries will never be dull and boring in Seattle. Modern libraries have diverted from the design of typical and classic libraries. Dark colored walls and furniture, monotonous blinds, bulky curtains, and monobloc chairs are out. 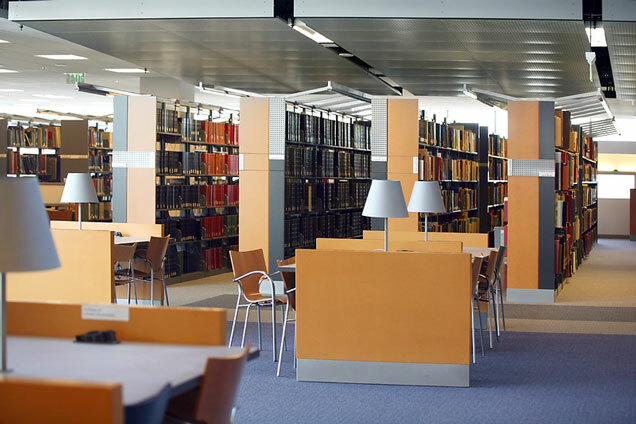 Space, high ceilings, ergonomically designed furnitures, and transparent glass windows are common trends among modern libraries. Creating and transforming to Modern Libraries require extensive financial resources. 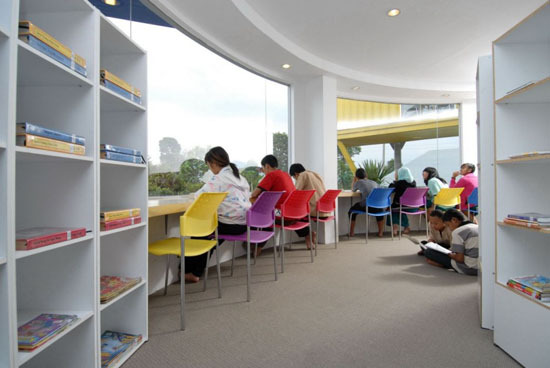 I know most of the schools' management will be reluctant in adopting the design of the Modern Libraries. Believe me, I work in a school! I have observed the system. The regular acquisition and update of library collections already consume a significant amount of the school's budget. But as you can see, this transformation is likewise not achieved overnight. 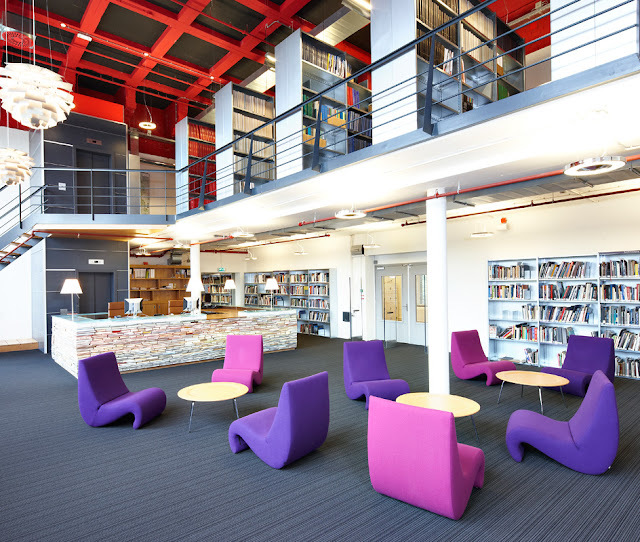 Schools can develop a Library Transformation Plan, with the help of engineers, architects and all those who are knowledgeable in infrastructure development. The plan should contain a time table and target achievements, which the school can undertake every year. This approach will demand time and to be specific even years. But with an organized plan and direction, we all know that those baby steps will later on lead us to that target goal. I am joining Kim of Savvy Southern Style for Wow Us Wednesday and Paisley Passions & Inspiring You to Save's Wandering Wednesday. "One could fall in love many times during the course of our lifetime, but the first rush of love always hold a special place in our hearts." I don't own this quote, but I remember reading this as a Facebook status message of one my contacts. First love, first crush, first heartache, and all those "firsts" in our lives would always mark a special trace in our life. And when I say "firsts" I don't just pertain to love. I also refer to other experiences like first day as a college freshmen, first job interview, first payday, first promotion, first time to experience a failing grade.. we all have our own memorable and painful stories. And why am I suddenly reminiscing about my "firsts"? Everything is all explained in this new TV Commercial of Nestle Philippines. I hope you could take time to watch this short TV commercial. It might take some minutes for the video clip to load, but I assure you that everything is worth the wait. The music used in the video was a Filipino song originally performed by the Apo Hiking Society. 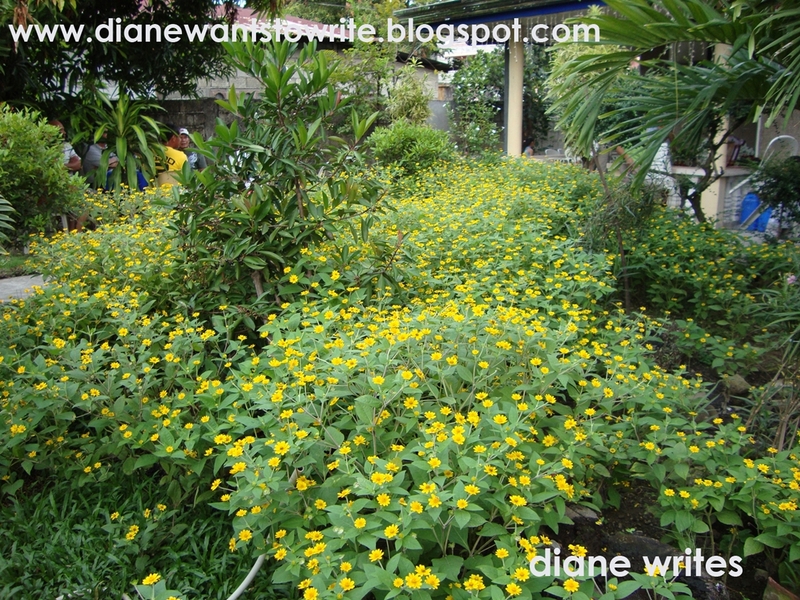 The title of the song was "Di Ko Malimutan," which literally translates as "I will never forget." The song tells us that we can never forget the time when we started to learn how to love and to be loved in return. The commercial became so close to my heart because it's very family oriented and it depicted the special unconditional love of our parents. Aside from God, I believe that parents are the next best individuals who can prove the existence of selfless love. Love grows and even strengthens over time. Our parents and families are again the best people to attest that this is possible. Who could ever thought that an innocent crush and "puppy love" could grow and develop for a lifetime. Loving someone over time is not always a walk in the park. Problems and trials will come and surviving all of these is what strengthens that love. Yesterday was not a good day for me. If we share the same experience, I hope this video clip was able to somehow cheer you up. I know there will be more "firsts" that would come my way. Whatever it takes, I know it will pass and my life would carry on.. I always look forward for the Holy Week because I can rest, recover sleeping hours, and spend more time with my family. This was how I spent my Holy Week. I got plenty of rest, sleep and I was able to do some of my favorite past times. Yes, it's only now that I watched Con Air. And after watching it, I can say that the movie is already one of my few favorites. I also finished watching Julie and Julia, a feel good movie about cooking and blogging! So to my blog friends who are into cooking, you might consider watching this film. Three more movies to watch and I'm done! I keep on shopping for books but I haven't finished reading any of them. I get a bit impulsive especially when I go to thrift bookstores and booksales. This is the traditional procession of the life size images of the saints, who made a significant contribution in the life of Jesus Christ. The procession is conducted every Maunday Thursday, Good Friday and Easter Sunday. The Easter procession however is different among the rest. We call the traditional Easter procession as "Salubong." The Filipino word "Salubong" literally means meeting someone who is about to arrive. During the Salubong, a reenactment of the first meeting of the Risen Christ and Mother Mary is undertaken on the pre-dawn of the Easter Sunday. The carriages of the Mother Mary and the Risen Christ will come from different places and will meet at the Church's patio. Part of the Salubong rites will involve a female child who plays the role of an angel who will remove the veil of Mother Mary, before she faces his son, the Risen Christ. I'm writing this post this Black Saturday. On my succeeding post, I will try to capture pictures of how the actual Salubong takes place. Hope everyone had a peaceful Holy week.